In the battle for supremacy in the world of SEO tools, Link-Assistant has managed to put up a pretty good fight. As a matter of fact, it is considered by some the best SEO tool available. While we will neither agree nor disagree to this affirmation, we can safely say that Link-Assistant is one of the best tools available for SEO enthusiasts. Unlike other tools which offer a myriad of features, the Link-Assistant is made up of four, independent tools that will enhance your link-building strategies. These tools are LinkAssistant, Rank Tracker, Website Auditor and SEO Spyglass, and each of them has specific capabilities. Let’s take a closer look at them. Overall, the PowerSuite works on four levels, in accordance with its adorable bundle of software. The amount of positive reviews that it has received has convinced us that it is truly a sturdy and powerful tool which should be especially considered by link builders and serious SEO specialists. 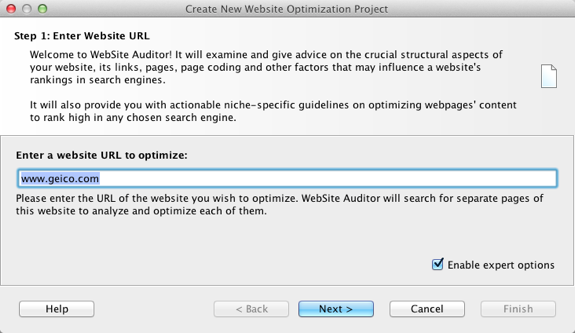 The Website Auditor is similar to the Raven Auditor in that it audits your site in the most efficient way possible. It is a useful tool for webmasters who wish to keep a close eye on their performance, to optimize statics sites and so on. Why we say static sites? Because it seems to have a little trouble with blogs. The website auditor will scan webpages for html tags, outgoing links, broken links, errors, infrastructure, interlinking issues, html entries etc. Sadly, it does not offer great results when it comes to off-site SEO (PageRank, index status, link popularity etc.). All in all, although it somehow failed at scanning wordpress pages, the Auditor is a nifty gadget that you should consider, if you are willing to play 99 dollars for it. A great thing about it is the fact that it can conduct deep scans for internal pages on your websites, and this will save you bandwidth and protect you from Google’s temporary IP block. SEO Spyglass is the trademark tool from LinkAssistant, and it is truly useful because it will offer you insights on your competition. It is basically a competition checker tool with multiple options like keyword searching, competition analysis, backlink monitoring, and backlink suggestions based on the searches conducted. All you need to do is to enter the keyword that you wish to analyze, choose the places where you want to search (Google,Bing,Alexa or Yahoo) and you are all set. Depending on your internet connection and the number of backlink opportunities, it might take a few minutes or hours. It is the ideal tool for finding link opportunities, especially if you specialize in link-building strategies. It is one of those unique tools that offers certain specialists exactly what they are looking for. What Link Assistant does is basically find potential link partners with the help of different keywords. Out of the four programs which can be purchased in the bundle, I would say that this tool is the one that impressed me the least. Sure, it offers certain opportunities, but compared to SpyGlass and the others, it simply does not shine. Nevertheless, let’s discuss a little bit more about Link Assistant. How does it find potential link partners for you? There are multiple ways (it harvests all URLs on pages you specify, it performs deep scans, finds sites that already link to you etc). Usually, it will show you up to 30 link partners which have a PR of 3 or higher. Nevertheless, out of the 30 results, not all will be usable. In conclusion, I believe that what LinkAssistant does, you can do manually, or with the help of Alexa, and it will probably take you as long as it takes for the program to find those link partners for you. It is true that you will have to work a little, but you are probably already used to it. You are probably already familiar with this term. 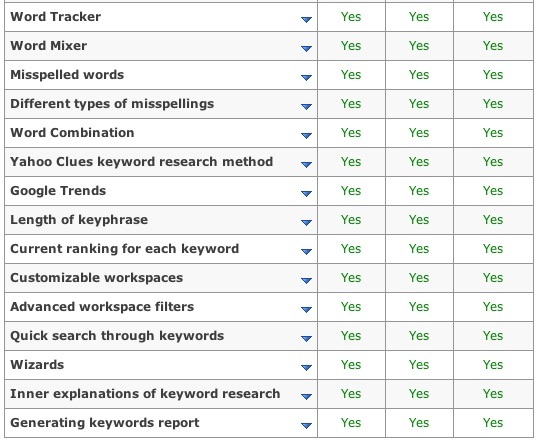 What a rank tracker does is keep track, and check rankings for different keyword of interest. So if you are trying to rank for keywords, then this is the tool for you. You can also set your preferred search engine in case you are trying to rank for different places. If you are not sure whether or not the results are accurate you can manually check, or use another tool to make sure everything is accurate. The core piece of the feature is the “rank checker”, and it truly shines. Furthermore, the Rank Tracker has a lot of interesting features and a wide array of charting and design options to help you organize information easier. The interface may not be the prettiest thing under the sun, but it is user-friendly. Keep in mind that the emulation settings are very important so make sure you set them up correctly, in order to make things look “human”. Emulation is usually turned off by default, so make sure you adjust the settings or else you might find yourself with a Google automated ban. Another thing you should adjust is the depth of the searches. Successive searches will offer you with a better view of what is going on. 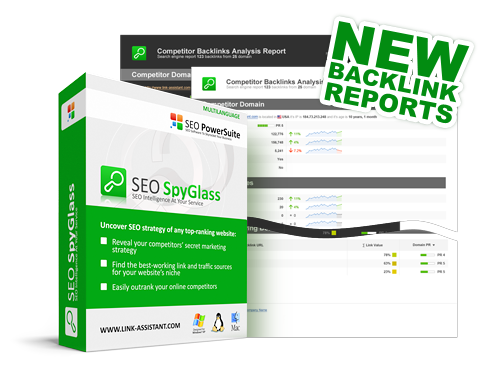 The Rank Tracker, Spyglass and Site Auditor are excellent tools that every SEO specialists should have in his toolkit. Link Assistant is not my favorite tool, nor has it received splendid reviews, but considering that the bundle price is quite decent, you can play with it for a while. You can rest assure that you will gain access to an excellent set of tools that will enhance your SEO efforts.